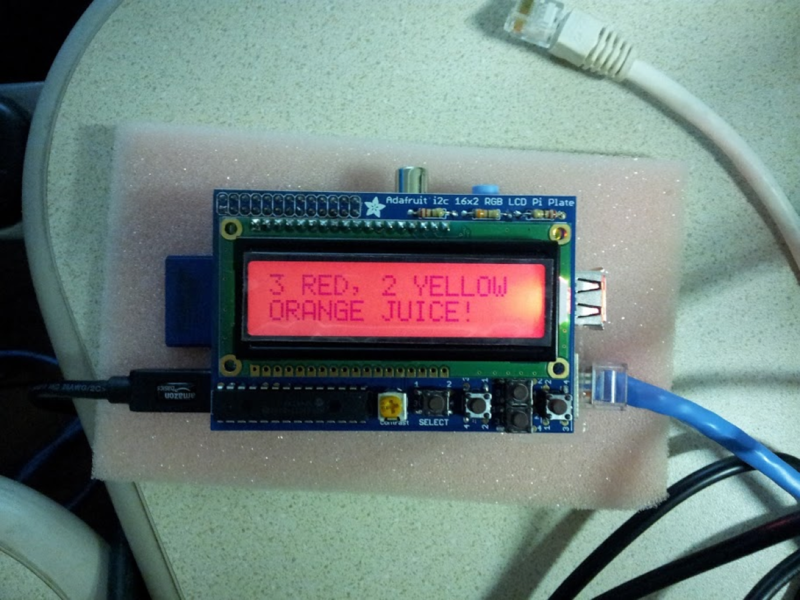 Thirsty for OJ after NERP at Pumping Station: One… #piday #raspberrypi @Raspberry_Pi « Adafruit Industries – Makers, hackers, artists, designers and engineers! 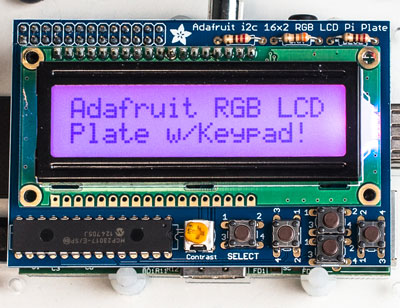 Ste was thirsty for OJ after NERP at Pumping Station: One so we figured out how to display orange on the Adafruit LCD Pi Plate. 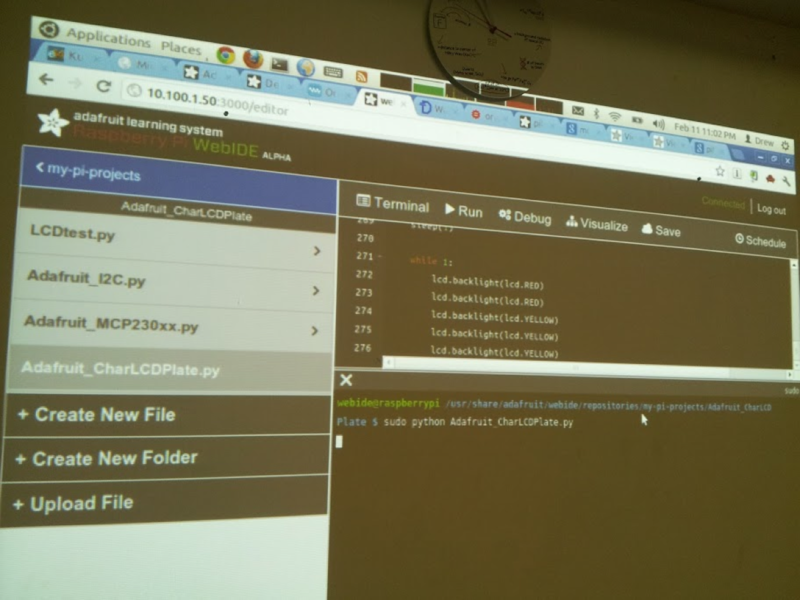 The I2C I/O chip doesn’t have PWM, so Python can only turn on/off red, green and blue. So we decided to switch between red and yellow quickly with a 3 to 2 ratio and our brains saw orange (although sadly my camera not so much).